In the world of excess and living the American dream outside of the boundaries of normal, the Cadillac Escalade has stood the test of time signifying and carrying the brand into the new tech age. 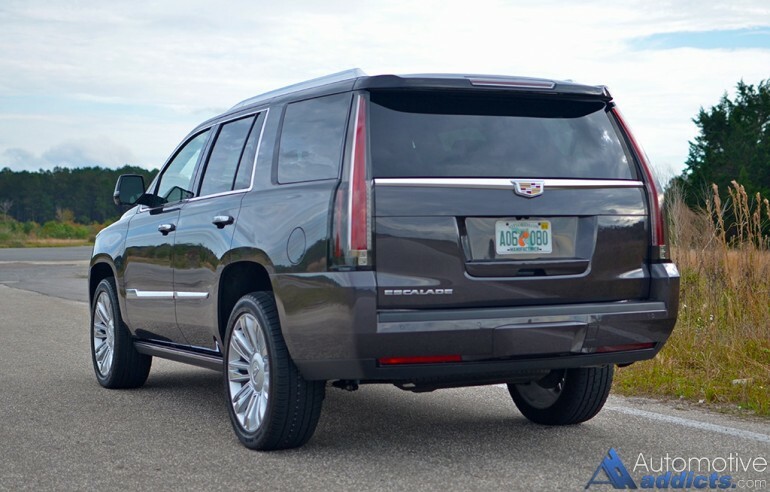 The Cadillac Escalade remains to be the vehicle that pulls executives into the dealership signifying the top-dollar American luxury vehicle that its buyers don’t mind dropping nearly 6-figures to obtain a piece of the best that indulgence has to offer for the SUV segment with an American nameplate. 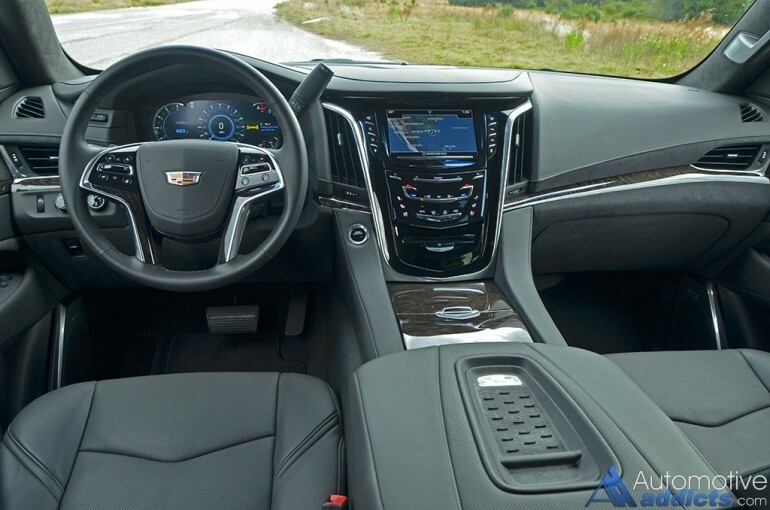 For the latest iteration of the Escalade, Cadillac pulled out all the stops mostly leaving nothing unwanted within the realm of potential buyers. The new 2016 Cadillac Escalade in its 4WD Platinum trim, the top of the food chain for large SUVs, found its way into my garage during the Christmas holiday. 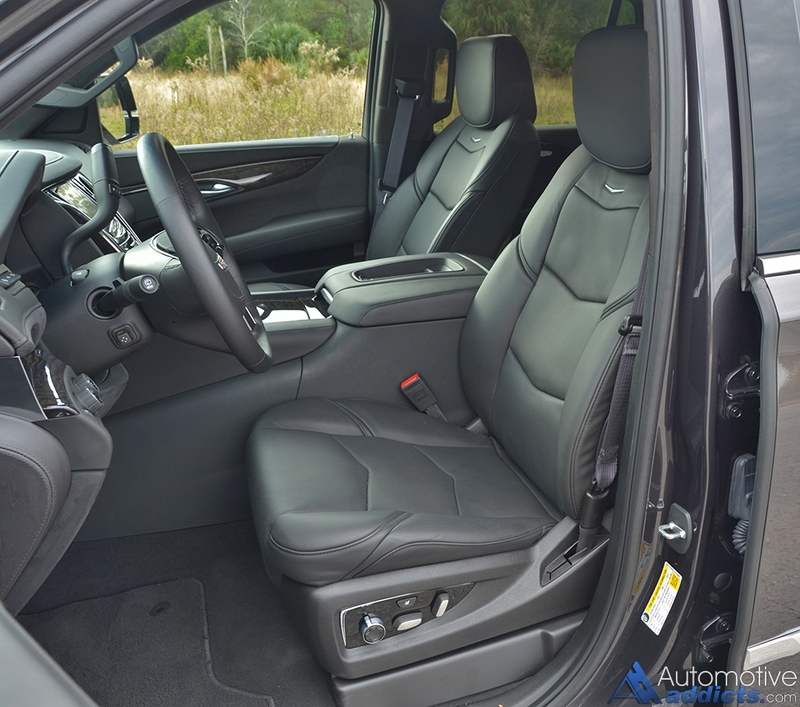 What better way to spend time with family and on a relatively short trip to Disney World in what could be pitted as a world-class body-on-frame SUV? It was a taste of self-indulgence with the occasional thought that we were riding in a flashy style that could easily signify a new career in being a pop-star icon. 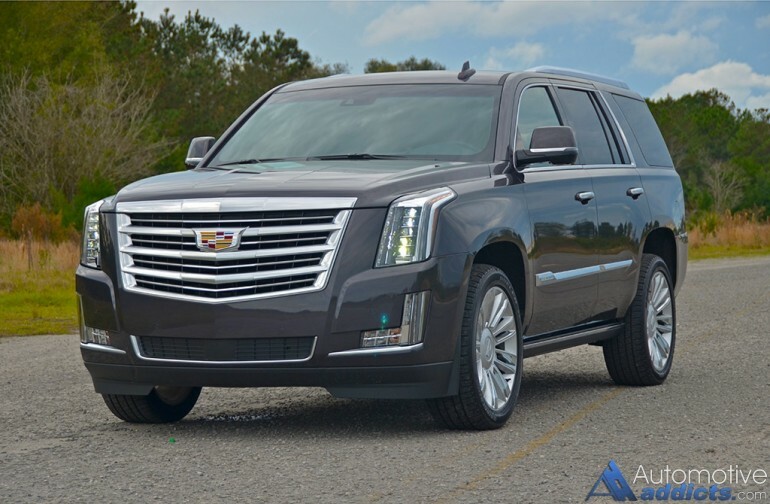 The new 2016 Cadillac Escalade continues off of the completely overhauled formula first introduced a couple of years ago as a 2015 model. 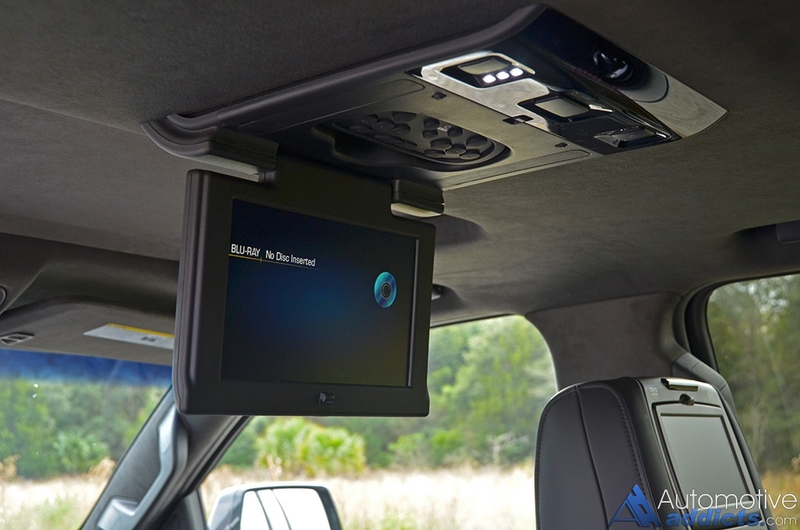 At the Escalades time of its redesign, most of what we knew the Escalade to be was improved upon never to lose that rolling statement it makes when gracing local country clubs, smoothly paved highways and five-star restaurant valets. Powered by a Corvette-sourced 6.2-liter V8 engine, the Escalade moves with authority never slacking to get its heft forward thanks to 420 horsepower and 460 lb-ft of torque. 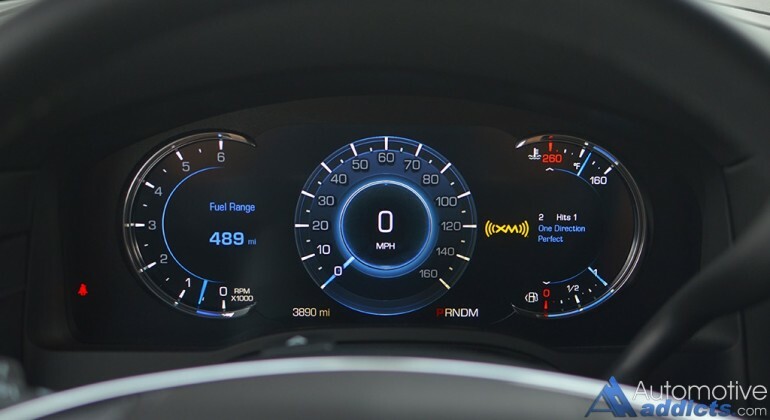 Sixty miles per hour comes about in a quick 6.1 seconds, while power flows through a new 8-speed automatic transmission that shifts smoothly without fail. The 8-speed shifts with assuredness in the selection of the proper gear under all conditions. The capability of the Escalade remains intact. 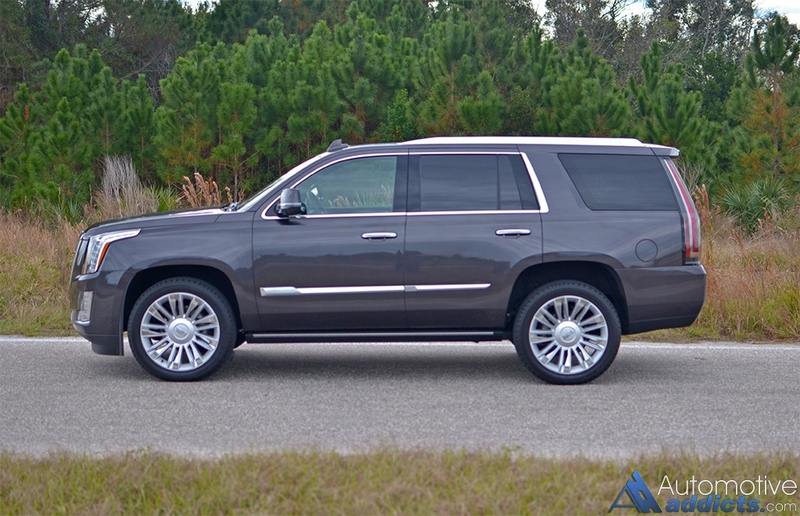 While most Escalade owners are never going to set those blinging 22-inch wheels off road, it isn’t shy about doing light off-roading duties utilizing its 4×4 system and a selectable 4×4-low gearing. 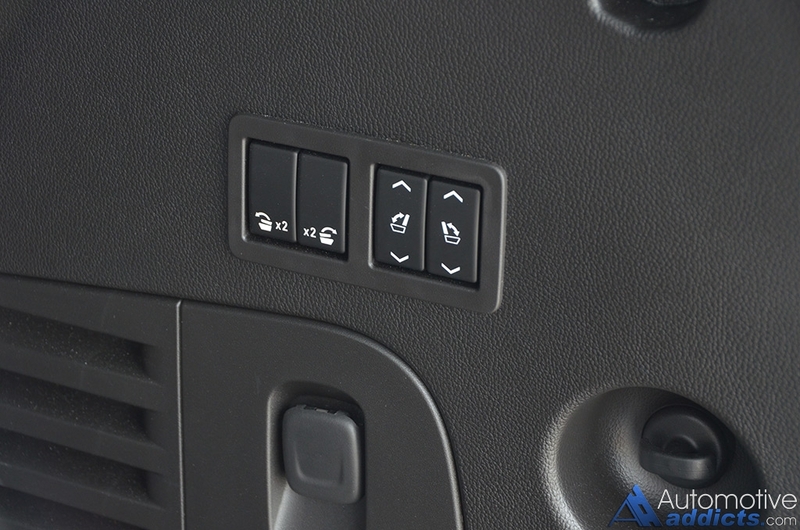 The system can also be set in Auto mode leaving it to the computer to enable all-wheel-drive under slippery or loose surface conditions. At the economical end, the Escalade pits a thirst for premium fuel in the city getting just 15 mpg on my fully-loaded Platinum 4-wheel-drive test vehicle. 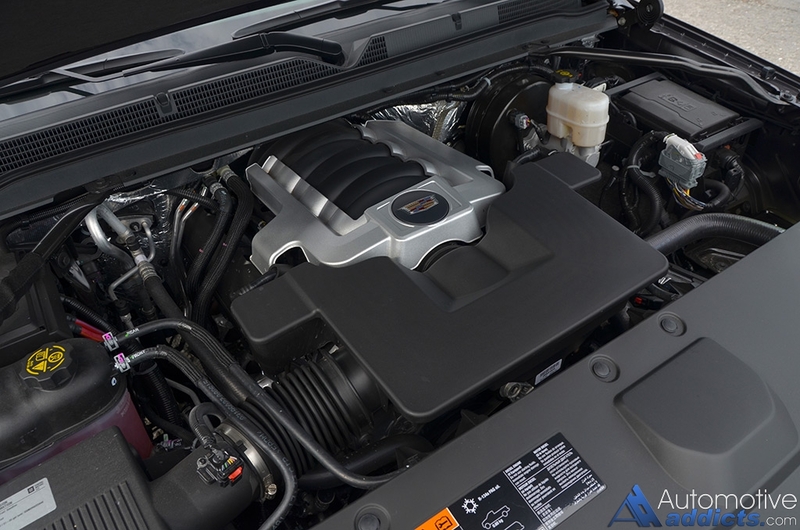 On the highway, through its clever cylinder deactivation system firing just four cylinders under light load conditions, the Escalade 4WD gets an EPA estimated 21 mpg and 22 mpg highway in the two-wheel-drive configured models. I saw a steady 22 mpg on our trip to Disney from Jacksonville to the Orlando, FL area. 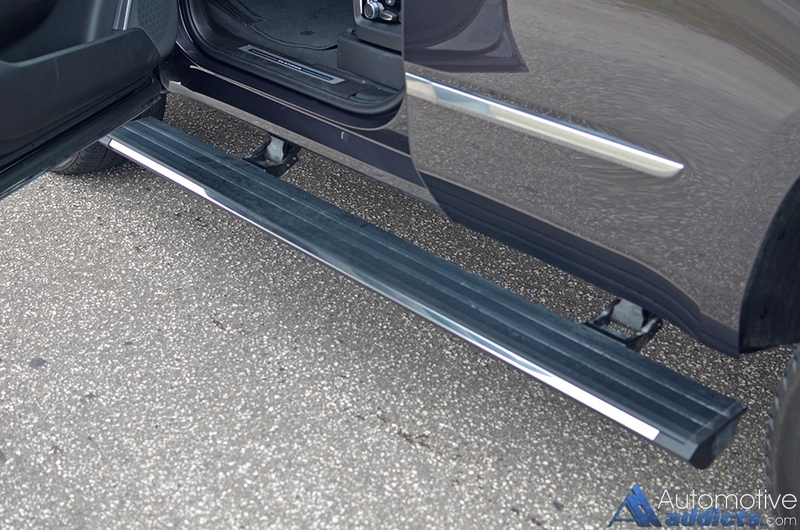 The ride quality of the 2016 Cadillac Escalade 4WD in its Platinum trim and normal wheelbase variant exudes a comfortable and compliant nature for the most part, thanks to its magnetic dampers keeping the 5,815 pounds of heft from lofting around. 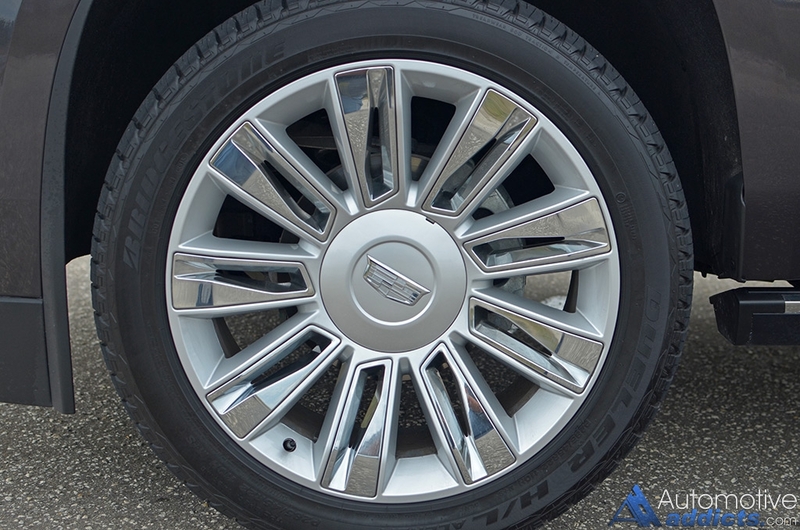 The large 22-inch wheels and tires proved to add to the performance for the Escalade to get around curves at speeds only to unseat that assured feeling when stability control softly kicks in to stabilize the mammoth proportions that you must intentionally push too hard to enact. 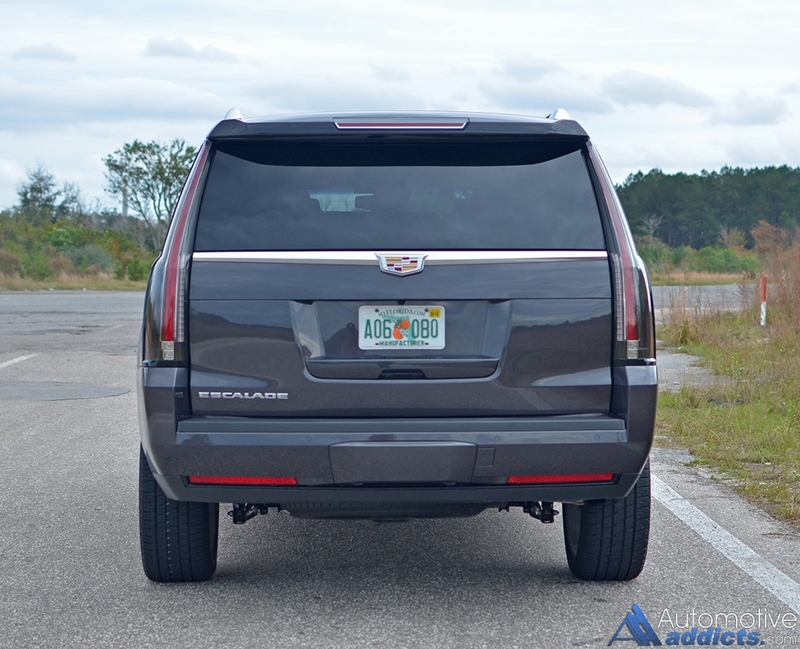 Though, possibly due to the large 22-inch rollers, the Escalade exhibits quite a bit of body jiggle when going over bumps in the road, potentially signifying its trunk-like structure and build. However, this slight diminish in ride quality could be concerning for some but others could simply considering it to be a character of its rugged chassis, one that is shared with GM’s other heavyweight body-on-frame SUVs. Braking for my Escalade test vehicle was one part of the big SUV’s performance that was unsettling, mostly because it took quite a while to bring to a stop at times. It’s not to say the braking is completely inadequate; it is more along the lines of being inconsistent and having the unsettling feeling that you could one day plow into the vehicle in front of you under a panicked stop. On the flipside, the additional safety blanket of my test vehicle’s forward collision warning and auto braking system is there to assist. Lucky for me, I only received a warning on a few occasions by the way of a large flashing red graphic on the heads up display and vibration from the alert seat. 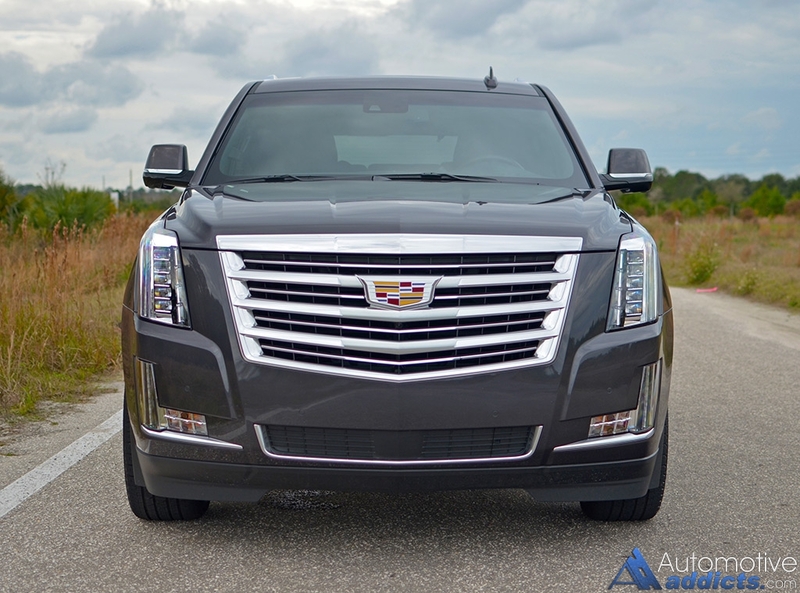 In the quest to keep the Escalade at the panicle of Cadillac luxury, baring the most significate nameplate for the brand right now, the 2016 Escalade gets a few updates for the new model year. 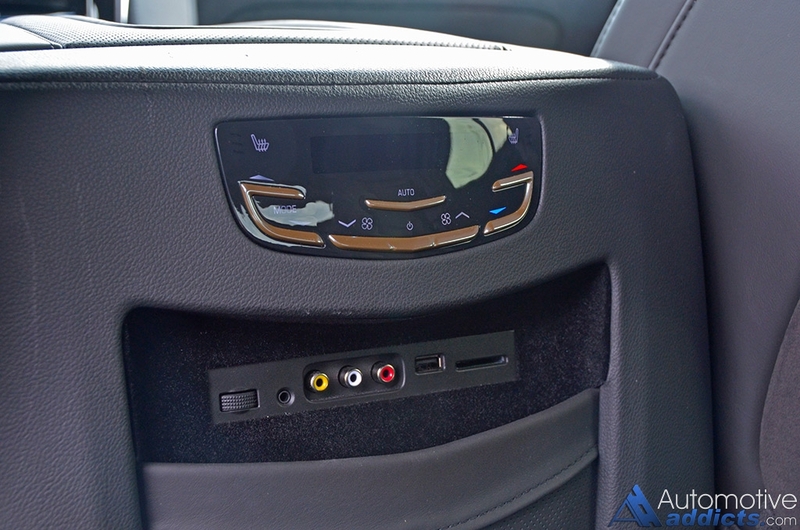 The changes include an updated CUE infotainment system with a faster processor unit, revamped LCD gauge cluster graphics, available lane departure intervention, and a front-view camera system that is combined with three other cameras for a full 360-degree surround view. I found the CUE (Cadillac User Experience) infotainment system to still be a slight mixed bag for those who are not accustomed to the touch-capacitive buttons down the dashboard center stack, in addition to the glossy fingerprint haven that it exhibits. While CUE has had its fair share of criticism over the years, it becomes tolerable after a while for some. Nevertheless, CUE could use a complete revamp outside of its latest Apple Car Play integration, which works great if you don’t mind glaring over fingerprints on top of the large colorful iPhone icons. 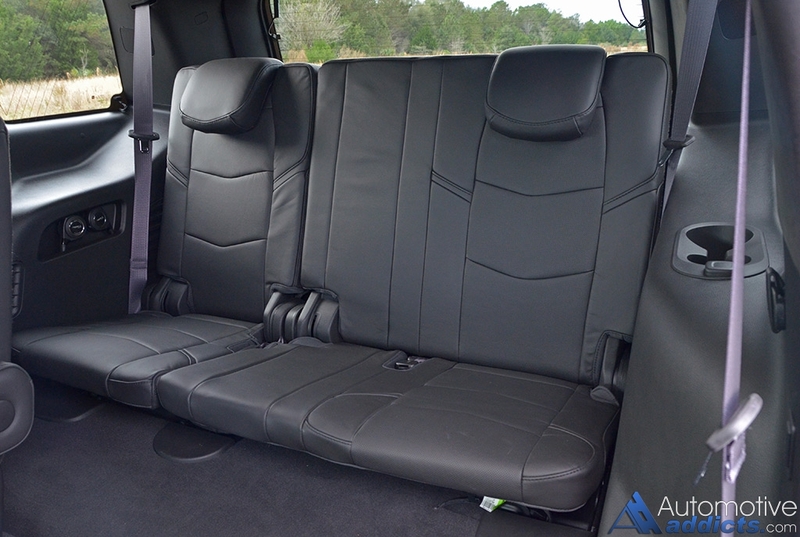 Comfort and a cavernous interior are some of the life-long fortes of the Escalade. 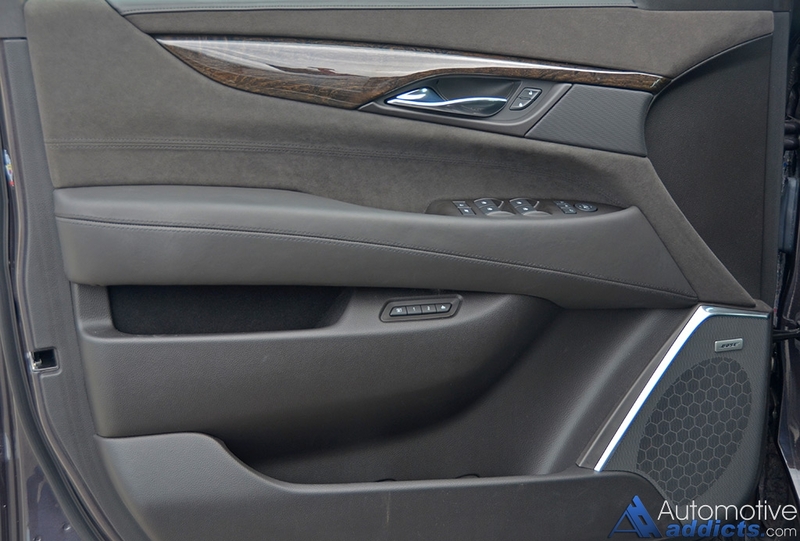 Sprucing up the interior for its true luxury appeal is left to several leather covered and soft-touch surfaces throughout the dashboard, door trim, and suede-like wrapped headliner and trim areas. The wood trim on the Escalade is the cherry on top of its exuberant cabin offering a variety of finishes for the authentic wood pieces. 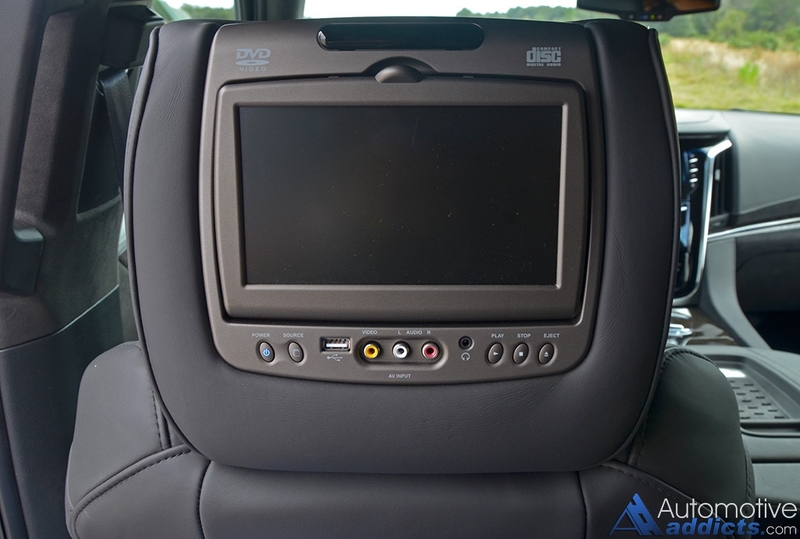 Mostly ever part of the interior foreshadows the true luxury theme, from its heated, ventilated and massaging front seats, to the middle row captain’s chairs that places climate controls, Blu-ray entertainment system controls and remote within reach. Access to the somewhat short-on-legroom and shallow third-row seating area to seat three is relatively easy by an intricate pneumatic folding mechanism of the second-row seats. 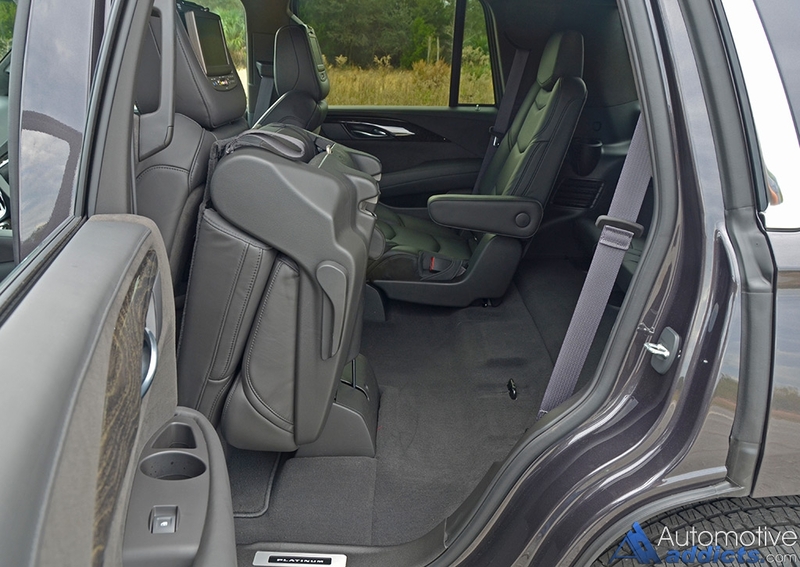 While the interior volume of the new Escalade is colossal, the cargo capacity is slightly diminished by its high cargo floor. 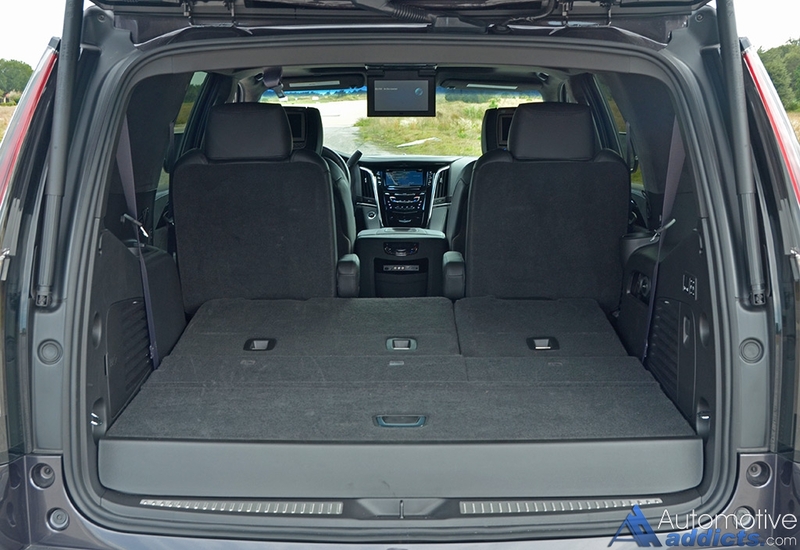 In some instances, consumers can find three-row crossovers with much more cargo capacity than the normal wheelbase Escalade when both second and third-row seats are folded down. 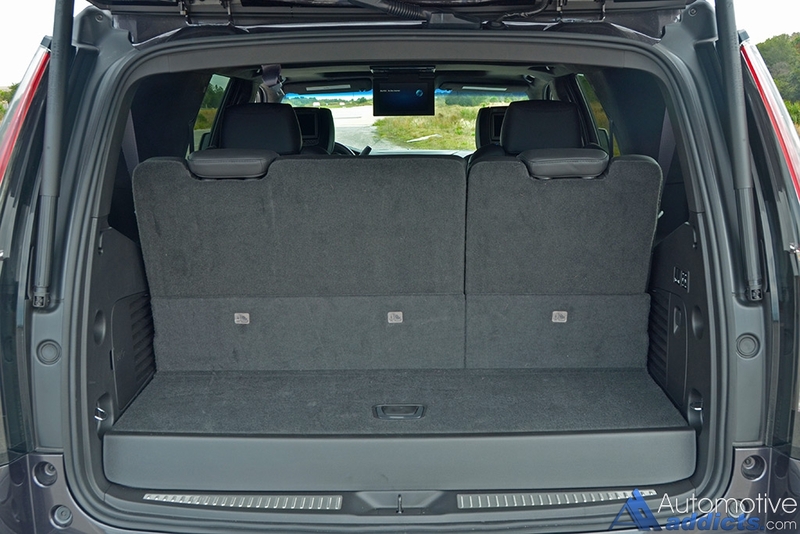 Additionally, the high cargo floor makes it difficult for loading items even if the rear power tailgate has a foot-activated system, in addition to having an opening rear tailgate glass. 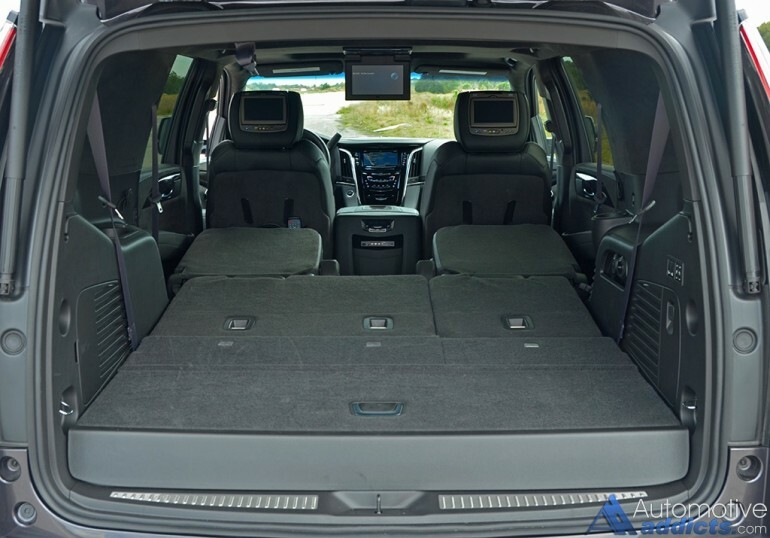 The 2016 Cadillac Escalade 4WD Platinum is the epitome of living large in America. 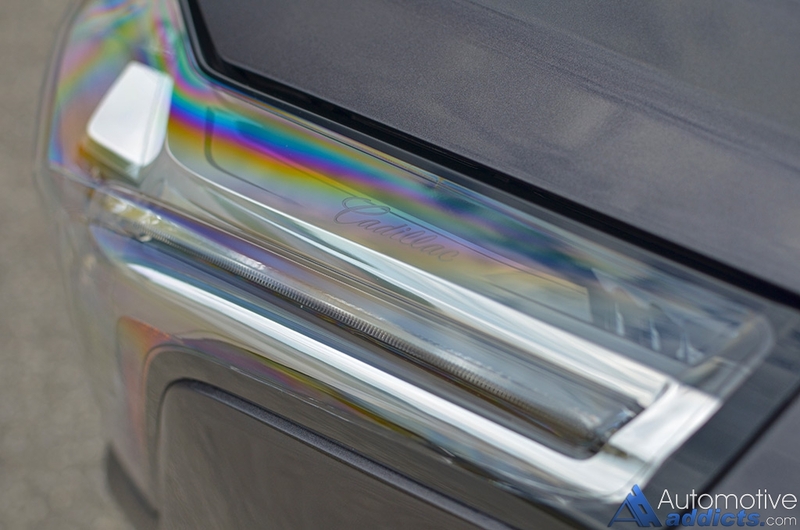 The name alone, something that Cadillac has wisely retained in their latest vehicle naming structure change, has expected substance behind its oblation. 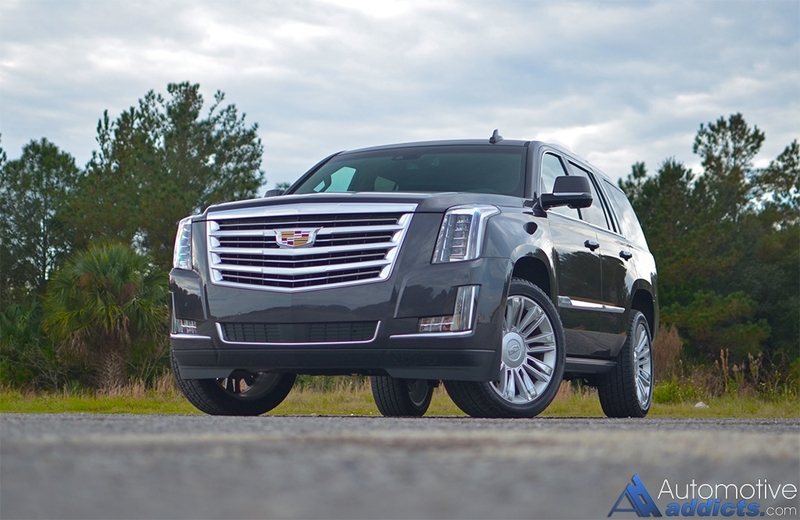 Captivating many and being unmistakable in its approach, the latest Escalade has a sure standing among its competition even at the as-tested price of my test vehicle at $94,830. 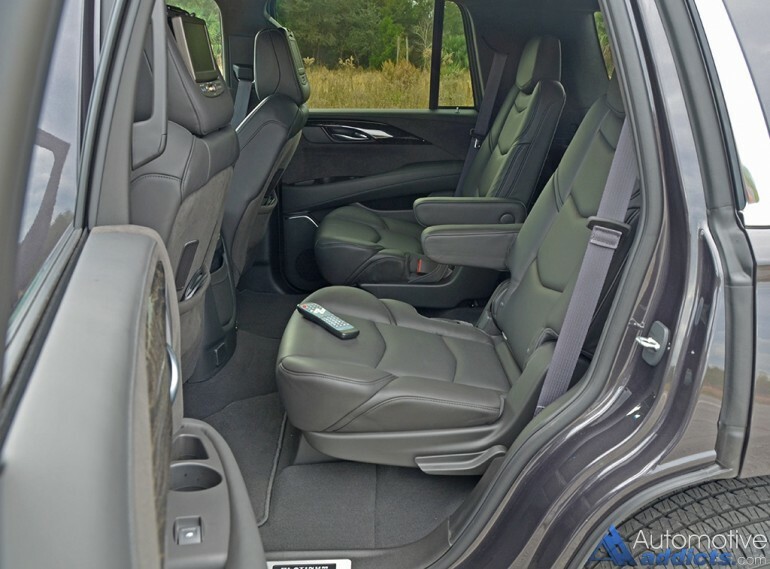 At such a price, the base starting at $72,970, the 2016 Escalade is Cadillac’s gleaming flagship that continues to impress in more ways than one without fail. After my time with Cadillac’s prided utility vehicle, I can certainly attest to the Escalade continuing to be the definition of the large luxury SUV in America.